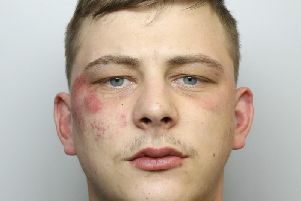 A man has been charged with handling stolen goods in connection with an investigation into a series of robberies across West Yorkshire. Zafar Iqbal, 39, of Clipstone Street, Bradford, has been charged with handling stolen property in relation to a robbery at a property in Rooks Close, Wyke, on January 5. He appeared at Bradford Magistrates’ Court today (Saturday) and is due to next appear on February 8. A 26-year-old man from Bradford arrested on January 7 in connection with the robbery series has been released on bail. Police have been investigating six robberies, in Kirklees, Leeds and Bradford, in which high performance cars were stolen.